Sometimes I just have to brag about my family. 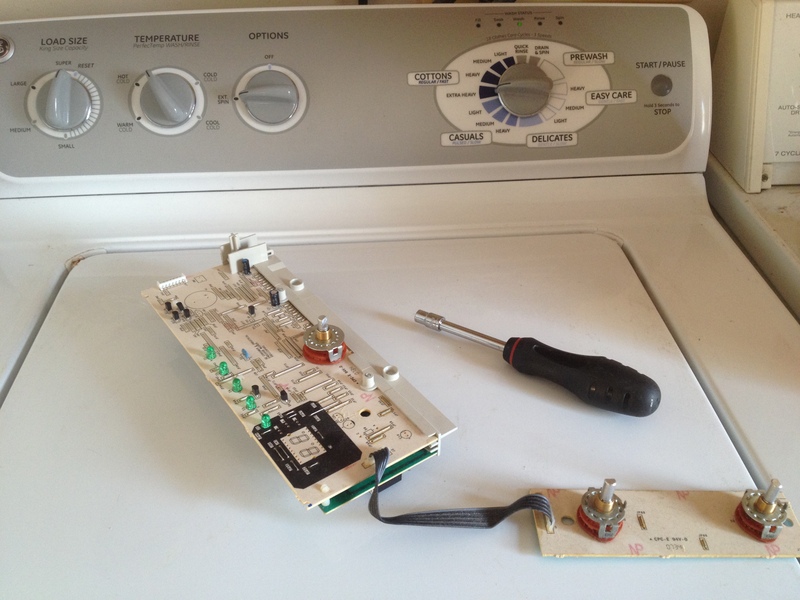 Our clothes washer just plain stopped working last week – like, nothing! It would not turn on. So, this is intolerable, since Caleb does more laundry than … well … ah … we never got to have a girl, as you know. But, his clothing has to not only be clean, it has to smell a certain way – like it does when he has gotten laundry back from Scott’s house, where Mrs. Long has chosen the world’s best fabric softener (which for the record is Downey). Anyhow … back to the broken machine. As you all also know, I have no patience with broken devices, machines, tractors, autos, etc. So, my wife researches it online, finds the components to fix it, has them expedited to the house, tears apart the electronics and replaces the circuitry to fix the dumb thing! I admit that I thought it was quite impressive. Since I’m naming guilty people in this post, I’ll name my fellow marathon-running buddy of the past – Bill Seiple – with whom I ran about 10,000 miles. You get to really know someone when you do that, especially when you are oxygen-depleted and you begin to talk about stuff you’d likely not say if you were in your right mind. We were both pretty amazed that we married well. He always said it was a man’s duty to marry up and improve his genetics. Well, he sure did that with Didi (as you New Jersey people can testify). And the truth is that I’ve done the same with Diana. She is pretty amazing with what she can do – like fix computers and washing machines, run businesses and deal with the IRS. OK, I’ve had the same clock for decades. It is the one that was sitting on the nightstand when I was a student at Dallas Theological Seminary. In those days, I worked evenings at United Parcel Service and would get home very late at night. Dallas Seminary was not a place for the faint-hearted when it came to academics, and the assignments had piled up on me. One evening, I knew I had hours of work ahead of me to finish a paper for the next morning. I also knew I’d be depressed if I was aware what time it really was, so, I set the alarm for the necessary time to get up, and I turned the clock around so that I could not see what time I would actually go to bed. After a number of hours of finishing the paper (on a typewriter!) I took a shower, got in bed, pulled up the covers, and at that instant the alarm rang. Well, that was quite an insult, and in that instant I smashed the snooze with a full-fisted ka-bamb! 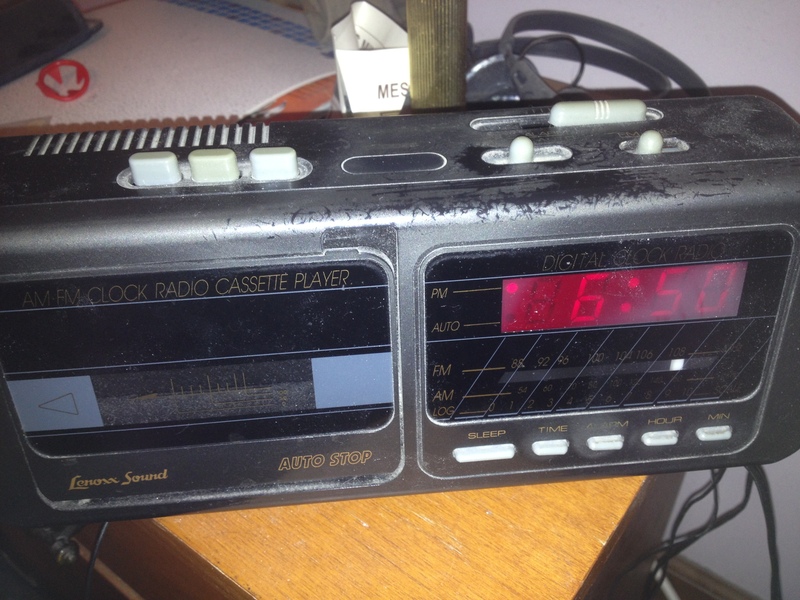 Somehow the clock survived… until yesterday. I guess the thought of facing another change to daylight savings time was more than it could endure in its dotage. <Hold the presses!> Late breaking story – I went to get a picture of it, and it is working again! This proves MY view of broken things – that may well have worked for the washer. If you give it enough time, it will fix itself! So, for example, with the car – just turn up the radio, and eventually the screechy noise will go away. And finally, there is Lucifer. I wrote about this on Facebook yesterday. He is my one surviving rooster. I’m not sure what happened to the other one; he just kinda disappeared recently. 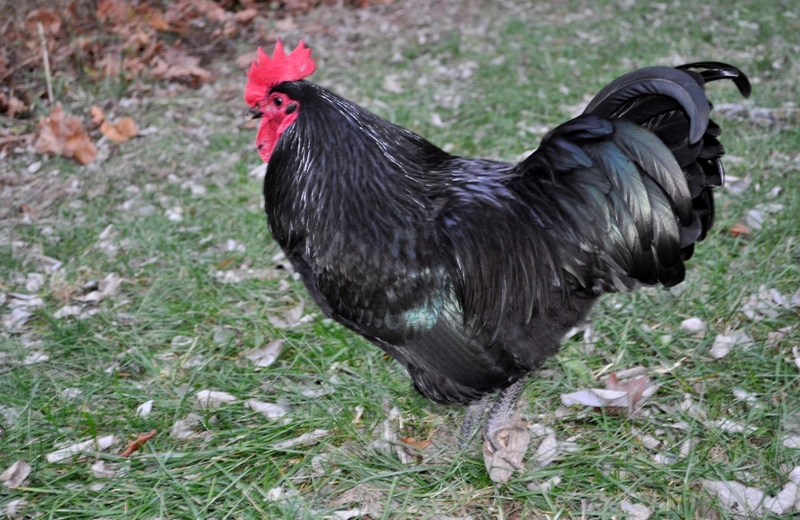 But my guess now is that he and Lucifer – who is a Black Jersey Giant breed – had a big fight. And though the other one was dominant all along, Lucifer had his day. NOW, Lucifer has decided that I am the next one who needs to be eliminated. He has decided to attack me whenever I’m not looking. Well, this really irritates me to be quite honest. I’m there bringing he and his 25 girls food and water, and HE is going to attack ME while I’m doing it!?! So, we had quite a fight yesterday. I had a plastic milk jug in my hand when he made a rush at me – winging through the air with claws and spurs flying. He hit me pretty good a couple of times, but on most attacks I whacked him across the face with the jug – like 20-25 times before he finally gave up. I think I won the fight, but I was exhausted from it. If this keeps up, he is going to get to meet his father the Devil. So, nothing lasts forever; but at our house, things are given a shot to last as long as they can. This entry was posted in General topics / Randy's family, Humor. Bookmark the permalink. ← Enough Brisket BBQ For A While! Way to go Mrs. B!! Randy, you married a saint!